Running is an excellent exercise that works numerous muscular groups as well as improves your cardiovascular system. Many people do this exercise for numerous reasons—it’s easy, effective, fun and not too strenuous (unless you run for many miles). Running through a beautifully scenic park or along the seafront can also help to clear your mind and relieve stress. Sometimes, when people finish their exercise, they may experience a headache. This can be caused by a number of things, the most likely causes will be covered in this article, as well as how it can be avoided. Why Do I Have a Headache After Running? Exercises produce excess amounts of sweat to regulate body temperature and ensure that the body does not overheat. This can cause the tissue in the brain to lose water, causing a slight shrinkage of the brain, leading to a headache. Dehydration can also lower one’s volume of blood, which in turn reduces the amount of oxygen that reaches the brain. If an individual has chronic migraines or has suffered from migraines in the past, then exercising may trigger another incident of a migraine. This means that if you are prone to migraines, running may cause one. Another common cause of a headache after running is low blood sugar or hypoglycemia. This can occur if a runner fails to eat enough calories before or during exercise. Glucose is the main source of energy used by our bodies, also required consistently by the brain. Failing to load up on calories can lead to a headache, mainly felt in the forehead, accompanied with hunger pains and fatigue. Primary exercise headache: Not caused by any underlying health problems, and often harmless. This will usually subside with medication. Secondary exercise headache: Caused by underlying health problems, such as internal bleeding or a tumor (inside the brain), or coronary artery disease (outside the brain). This will often require emergency medical attention. Sunlight: Sunlight can sometimes cause a headache for some, meaning that if you are running in the sun, it may be exacerbating the issue. To counteract this, try running in the shade, or at night time. If you wish to run in the sun, wear sunglasses, and a cap with a peak to protect you from direct sunlight. Poor posture: Practicing poor posture in every-day life is bad enough, whether you are not sitting up straight or constantly looking down at your phone, incorrect posture can lead to many complications. When running without proper posture such as running whilst slouching, or with one’s shoulders forward, a headache may soon supervene. Tight headgear: If you are wearing tight headgear, such as a tight cap or headband, then you may experience pain as a result of this. Try running with headgear that fits more loosely, and see if the headaches disappear. How Can I Avoid a Headache After Running? As mentioned, dehydration can cause headaches after running. It is most recommended that you hydrate before, during and after exercise to ensure that you keep your fluids at optimal level. When hydrated, one’s urine should be clear (or almost clear), dark urine is an indication of dehydration. Try to eat lots of nutrients, avoid consumption of toxins such as cigarettes and alcohol, which can attribute to the occurrence of headaches after running. Always ensure that you consume calories before you exercise. If you have hypoglycemia (low blood sugar levels), then managing the condition may lessen the occurrence of headaches after running. Eating foods like bananas and apples will help to boost your blood sugar levels naturally. Fruit juice can also be helpful, as well as sweets and candies in moderation. A headache after running can be caused by many things, and the exact cause may be difficult to ascertain at first. One may wish to take nonsteroidal anti-inflammatory medication to attain instant relief from headache pain. Medications which may prove useful include: ibuprofen, naproxen and acetaminophen. These can be bought over-the-counter. Remember that it can cause irritation in the stomach if you consume them on an empty stomach, so be sure to eat before taking the medication. There are many methods that can prove useful in treating the pain associated with headaches and migraines. These include: applying a hot or cold compress to one’s head or neck, lying down in a quite dark room or having a massage. 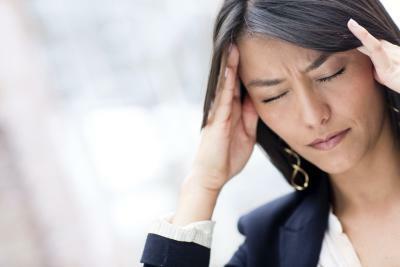 If headaches caused by consistent use of over-the-counter medication, then this is known as a rebound headache. To avoid this, one must discontinue the consumption of the medication that is causing the symptom. Always speak with your doctor before discontinuing any medication. Headaches will most likely get worse before they get better, as your body eradicates the medication from your system. Help is available such as cognitive behavioral therapy, which can help those with serious cases of rebound headaches.